Grills, fryers, a buffet, and a deli. These are the components that make up Philly's Gourmet Steaks. 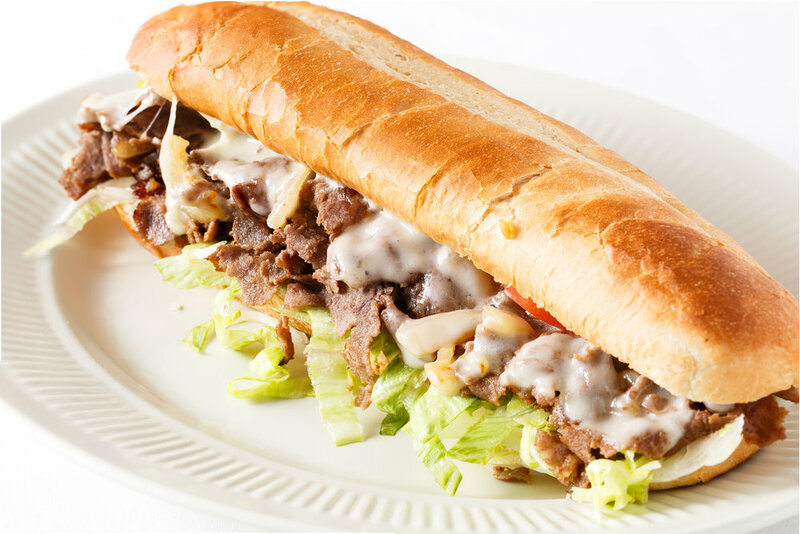 From our cheesesteaks and burgers to our multicultural buffet and salad bar, we cater to nearly every culinary need. With this prodigious selection of cuisines, we proudly serve them all with a quality and consistency unfound in any other restaurant. Looking for the authentic Philly Cheesesteak? Look no further, our cheesesteaks are proudly made with hand shaved (on premises, NOT pre-sliced) ribeye steak with the best daily delivered roll buns around. Our cheeses, which are of an immaculate quality not found in other deli’s, are melted perfectly on USDA Choice ribeye meat. In conjunction with our rolls, it makes for a mouthwatering cheesy delight. Like any proper deli should, we constantly maintain a fresh supply of Boars Head deli meats and toppings. With daily delivered fresh bread, any early bird ready for the perfect breakfast sandwich is welcome at our doors. Bob’s Burger got your stomach aching for some bacon? Does the Krusty Krab make you sweat for that patty? Although we might not have THAT secret formula, our burgers come as close as possible to perfection between two potato buns. Made with 100% real angus beef, we guarantee you’ll tell all your friends and come back for more! Our buffet has been a staple product of business for decades. With over 30 years of experience, we’ve come as close to perfection in operating a hot buffet and cold salad bar experience. Every day we serve 34 buffet items with menu changing and rotating daily. With the hot food section containing the most popular of cuisines around the world (American, Italian, Chinese, etc. ), we can fill the empty stomachs of guests from all places and cultures. The cold bar consists of the finest salads and cold foods which includes daily cut fresh fruit, enough to make a vegetarian cry (with happiness! ).